Fabricated steel, light, and petroleum jelly. 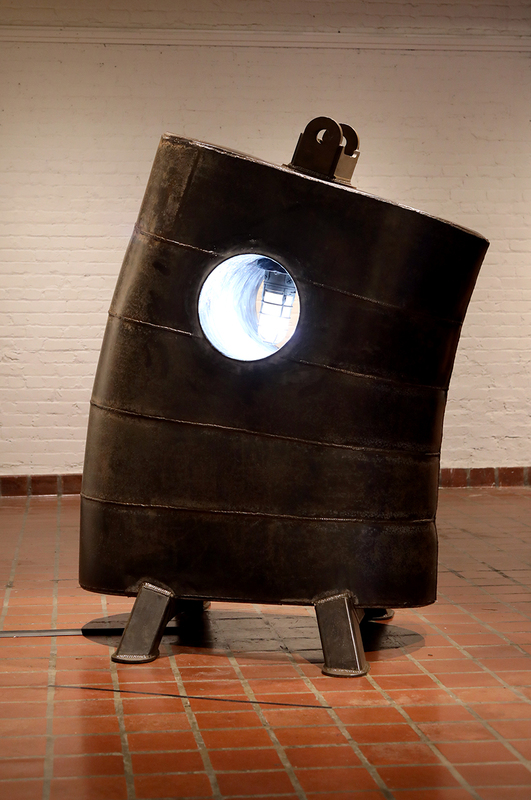 Balefire was 1 of 4 sculptures exhibited in ‘Brain Janitor’ at Artspace in Raleigh, North Carolina in winter 2018/19. Balefire suggests animation in its gesture and appendages. The term Balefire is often used to describe an open air fire or beacon - the first version of what we now know as a lighthouse was simply a fire on a hill. This sculpture’s action, beyond crediting a buoy-like form, also references a distinct personal memory of a fistulated cow. This is when researchers insert a rubber flap over an open hole in a cow’s side to study the inner-workings of their 4 stomachs. I remember feeling afflicted by this sight - not knowing which of the greasy substances around this pocket were bodily and which were for lubrication. The light in the interior suggests a core entity as well as a signal. Brain Janitor is a sculpture exhibition by artist Dane Winkler. It features large scale works constructed of various materials including a braided rug, papier-mâché, fabricated steel, and a hollow mattress. The works have developed out of Winkler’s vocabulary utilizing concepts and materials reminiscent of a farmyard landscape. Often times the sculptures provoke a sense of poetry harkening back to his roots related to homesteading and ones most basic needs. The sculptures characterize a mysterious familiarity to function - be it otherworldly or local. In Brain Janitor the materials elicit a more private intention as Winkler begins to explore manipulated recognizable objects alongside crafted components - What conversation develops when a used mattress inflates and deflates like an organ? By reconsidering these forms through transformations their impressions are modified. How can objects become alive in their gesture or action? These substances are taken out of context compared with more inscrutable forms that hint at function or motion, yet suggest a frozen instance of time. 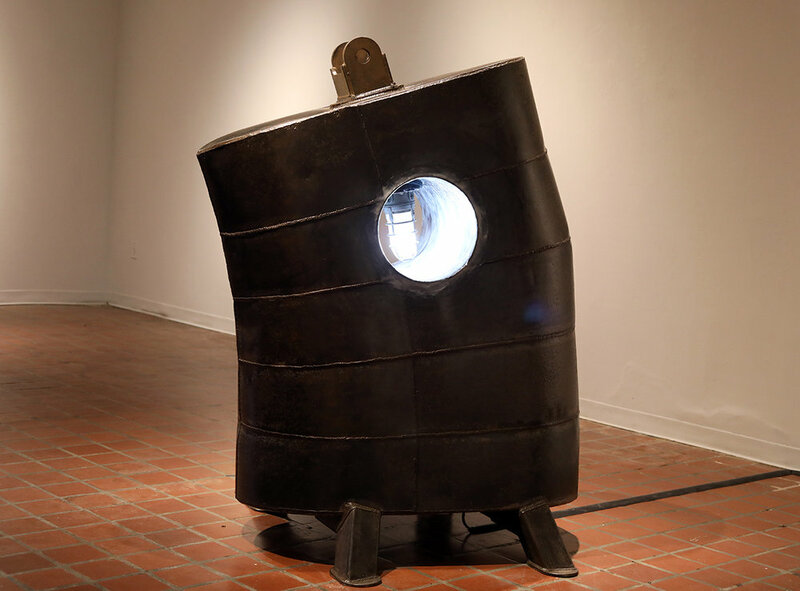 The work relates to the body in various ways ranging from their personal history as a cradle for the body, to an abstraction that empathizes with absence, or the miracle of birth and death. The Proposed Brain Janitor is the keeper of these sentiments. It organizes these images and memories when appropriate, and makes mistakes all the same.